Honeycomb moray eel (tesselate moray). 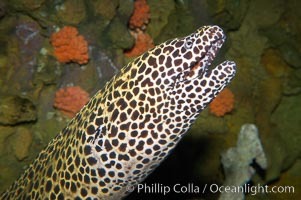 Honeycomb moray eel, Gymnothorax favagineus Photo. Honeycomb moray eel (tesselate moray). 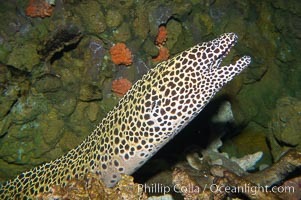 Honeycomb moray eel, Gymnothorax favagineus Picture. Honeycomb moray eel (tesselate moray). 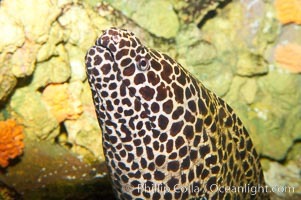 Stock Photography of Honeycomb moray eel, Gymnothorax favagineus. Honeycomb moray eel (tesselate moray). 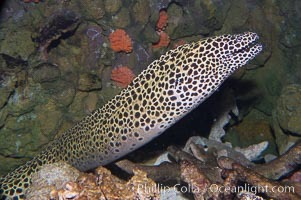 Photograph of Honeycomb moray eel, Gymnothorax favagineus.